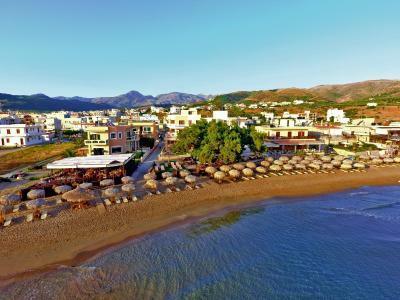 Lock in a great price for Maria Beach Hotel – rated 8.9 by recent guests! Liked Everything - we stayed a week - beautiful and convenient location (right by the bus station, a supermarket+a great rental car company/Kissamos Car Rental), modern hotel, very accommodating, hospitable and professional staff, recommending to all and will do our best to come back soon. The people in the town around the hotel are the great and we made friends. Also special thanks to the hotel personnel at breakfast/bar area and especially to the housekeeper for taking excellent care of us. Also, initially when we had to delay check-in couple days due to scheduling discrepancy - Maria Beach did not charge us a penny for the change. Wonderful place, good location can walk everywhere and restaurant is amazing. The hotel rooms and restaurant not only have a beautiful view right on the ocean, but the food was probably the best we had in Greece. The chef even gave us a tour or the kitchen and the freshly caught fish on the menu. 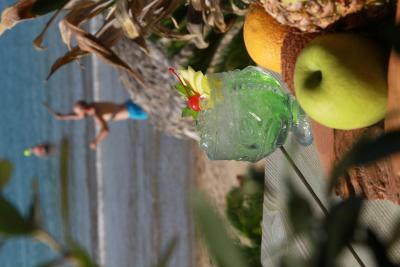 This is a family owned and operated resort that is very outgoing and accommodating to you on a personal level. They went out of their way to make our stay fantastic. 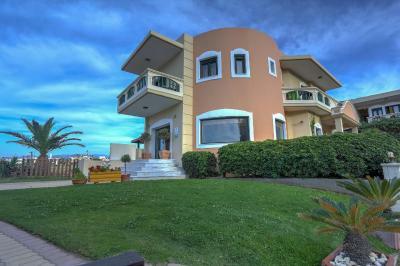 The location is close to Chania for a more tourist area, but also close to beautiful beaches such as Elafonisi. I would highly recommend the Maria Beach Hotel to anyone wanting a clean, quiet, and beautiful stay. We traveled as a family of 6, visiting multiple islands in Greece, and this was our favorite place and will definitely visit again! You feel like visiting a great Greek family ! 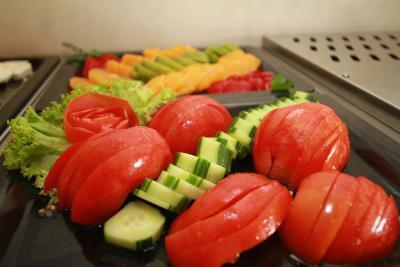 The owner and all the staff are incredibly friendly, smiling people and very professional! Rooms beautiful decorated with the confirmations needed, clean and wonder the money you give. 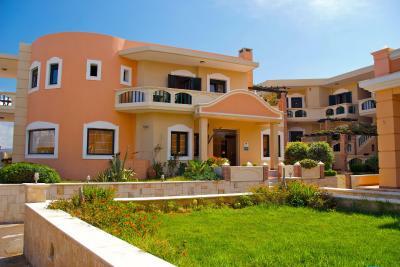 Lovely beach location.Very close to famous beaches : BALOS, FALASARNA and ELAFONHSI. 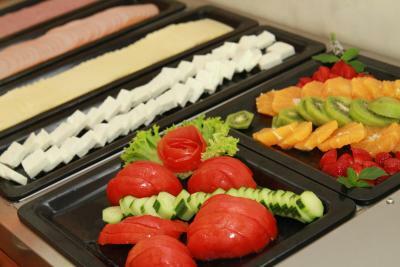 Delicious,high quality food at the hotel's restaurant.There is always fresh fish. 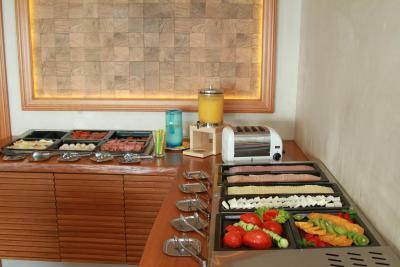 Tha buffet breakfast delicious ! We met quests who visit Maria Beach every year .We will do the same ! 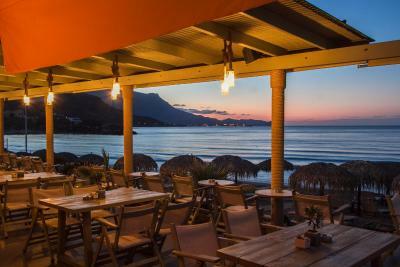 Great restaurant and great location next to the beach! The staff made us feel very welcome and we hope that at our next visit we will have more days to enjoy the beach and the hotel's facilities! Location next to a wonderful beach. Easy access to all local attractions. Rooms are beautiful, functional and comfortable. Daily, really good, cleanliness. 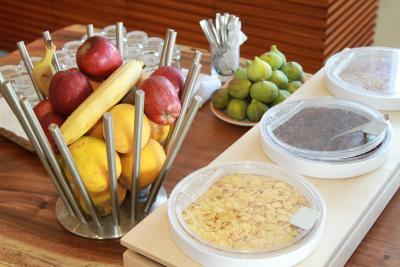 At the rich buffet breakfast, all products are fresh and delicious. 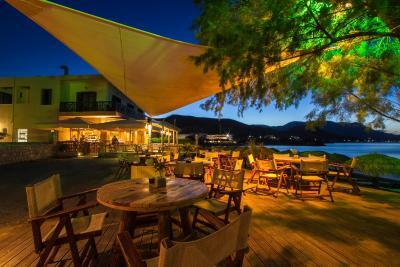 The restaurant is fantastic.Full of quests from all over the area of Kissamos. 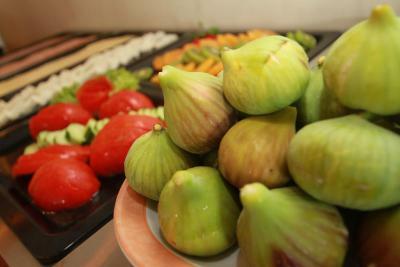 Really good food facing the sea and a very affordable price! Extremely kind and helpful staff. We go back home with so nice memories! Thank you MARIA BEACH! I spent one night in Maria beach hotel..very nice room with a beautiful view..the staff was very polite and friendly and they helped me a lot with anything I need it...I would stay there again!!!! 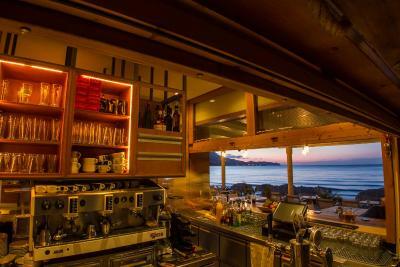 Location next to beach.Friendly staff.Excellent beach restaurant. The staff are nice, sincere and very helpful. I asked for laundry service which is not available by the hotel. They took my dirty clothes to the nearest laundry shop in the city by car without extra cost. Finally I have my clean clothes the next day. I really appreciate their services to me. Maria Beach Hotel This rating is a reflection of how the property compares to the industry standard when it comes to price, facilities and services available. It's based on a self-evaluation by the property. Use this rating to help choose your stay! 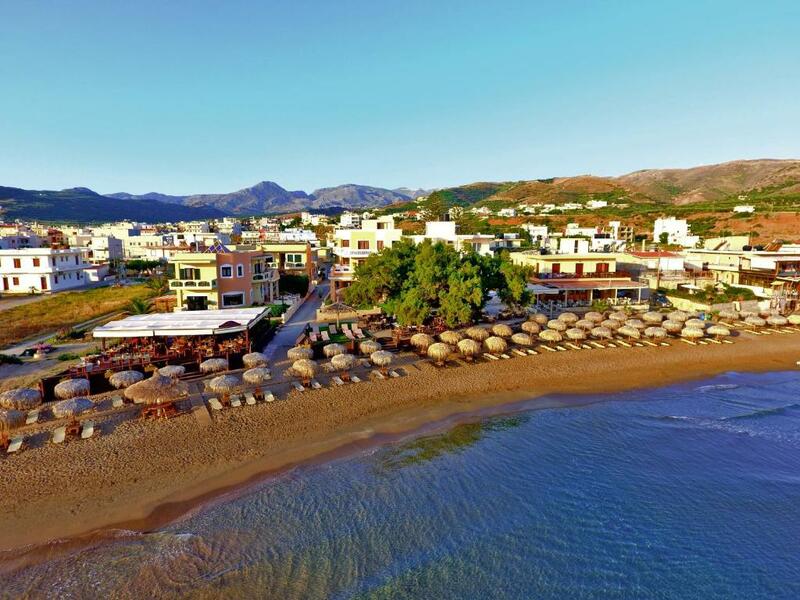 One of our top picks in Kissamos.Located on a sandy organized beach, Maria Beach Hotel is 1,950 feet from the center of Kissamos Town. It features a traditional, beachfront restaurant with an unlimited sea-view terrace and self-catering accommodations with free WiFi and a balcony or patio. 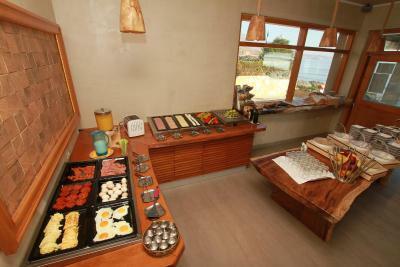 The spacious studios and apartments at Maria Beach offer a kitchenette with cooking hobs, fridge and small dining area. Air conditioning, a TV and a safety deposit box are standard. 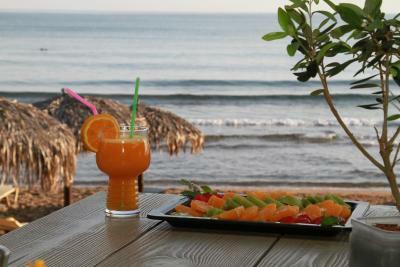 Some offer Cretan Sea views. 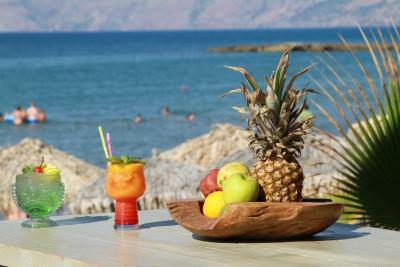 Buffet breakfast is prepared each morning and can be enjoyed on the beach front terrace, offering panoramic views of Kissamos Bay. 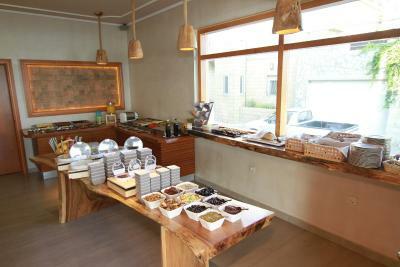 The modernly decorated restaurant and bar serves traditional Cretan cuisine and refreshing drinks. Plenty of sunbeds and umbrellas are provided at the beach area. There is a playground available for younger guests. Maria Beach Hotel is 9.3 mi from Balos Beach, whereas Falassarna Beach is 8.1 mi away. Chania City is at a distance of 24 mi. 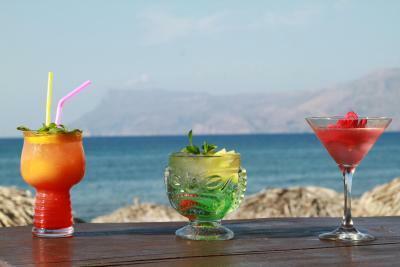 Transfers from/to Chania Airport and Heraklion Airport are available upon request with surcharge. 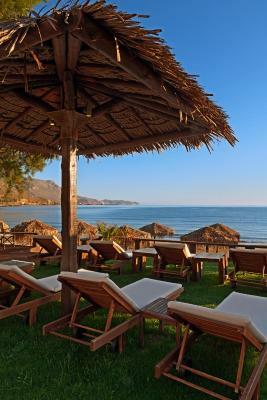 When would you like to stay at Maria Beach Hotel? Studio opens out onto a balcony with sea view. 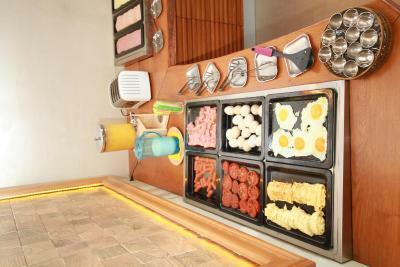 It offers a kitchenette with fridge, cooking hobs and small dining area. A TV, air conditioning and safety deposit box are standard. This twin/double room has a balcony, kitchenware and air conditioning. This apartment opens to a balcony with sea view. It offers a separate bedroom with connected twin beds, a living area with a sofa bed, a kitchenette with a fridge and cooking hobs, and a small dining area. A TV, air conditioning in the bedroom and a safety deposit box come standard. Please note this type of apartment is located on the 1st or 2nd floor and access is possible only via stairs. This studio features a balcony, private entrance and air conditioning. 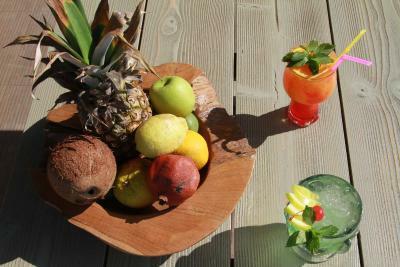 House Rules Maria Beach Hotel takes special requests – add in the next step! Maria Beach Hotel accepts these cards and reserves the right to temporarily hold an amount prior to arrival. Please inform Maria Beach Hotel of your expected arrival time in advance. You can use the Special Requests box when booking, or contact the property directly using the contact details in your confirmation. Off-season we were the only people in the hotel. We didn’t see any staff. Room was cold. Nice room. Right on the beach. Very nice place at an excellent spot! Small cramped bathroom but did not detract from stay at hotel. We felt the room was a bit old (especially the bathroom). We had a hard time finding someone at the reception. Location almost on the beach with free sun-beds and umbrellas. The restaurant is delicious and the waiters very friendly. 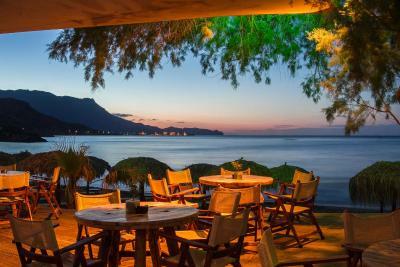 Excellent location to go enjoy Balos Lagoon or Falassarna beach. The Wi-Fi is not stable and slow, need more improvement in their IT facilities. The parking can be improved, ie. have designated spots for hotel guests and a well lit area. The beach was small but very clean.